For professional moving services that provide the best in quality and value, there’s no better choice than the team at Coleman Worldwide Moving! 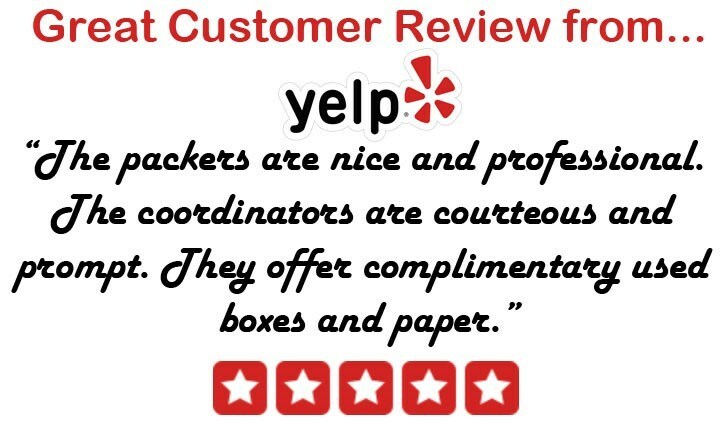 Our BBB-accredited, ProMover team has been the trusted name for Palm Harbor movers since 1914, and we always go the extra mile to provide the best in quality, value, and customer-focused service. As a trusted agent for Allied Van Lines, Coleman Allied is part of a global network of moving and storage professionals—allowing us to handle any size relocation, anywhere in the world. From small apartments to large family estates, there’s no job too big or small for the team at Coleman Allied. We offer both basic and full-service moving options to meet your needs, and we’ll even send one of our expert Palm Harbor movers to your home for a free, no-obligation estimate of your moving costs. Regardless of the size or scope of your household move, you can count on Coleman Allied to take the stress out of the relocation process. At Coleman Allied, our first priority with every office or business move is to keep your relocation on-schedule and on-budget—regardless of the size or scope of your relocation. We’ll work with you and your staff through each step of the process, and a personal move coordinator will be assigned to your company to ensure that you have a seamless moving experience. Our Palm Harbor movers can also assist with employee relocations as part of your office move, or we can offer them as a stand-alone service to assist your staff with the process of relocation. When transporting medical equipment, computer servers, or industrial machinery, you need to be able to count on your moving provider to provide efficient, professional service. At Coleman Allied, our movers are skilled in all areas of specialized moving, and we will ensure that your high-value, sensitive items arrive at their final destination safely. Having a trusted team of movers in Palm Harbor on your side is the first step in ensuring a stress-free relocation—whether you’re moving your family across the country or planning a commercial move. At Coleman Allied, we’re the most trusted name in the industry for all of your relocation needs, and we invite you to give us a call today to speak with one of our friendly moving specialists! You can also request a free, no-obligation estimate now by submitting our simple online form.